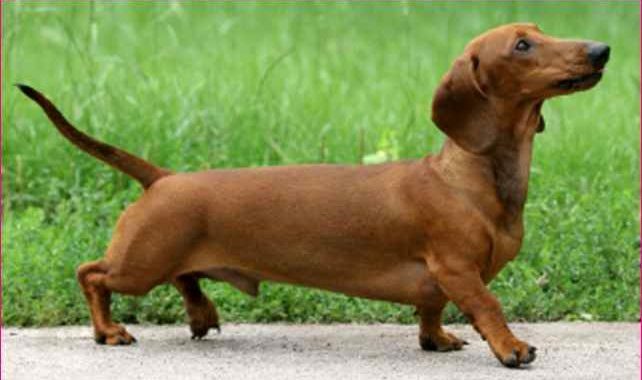 Disc disease, also known as intervertebral disc disease (IVDD) or slipped disc, is a common and often a very painful and distressing condition, not only for our beloved pets but also for the owner. To understand this condition, it’s important to know that the spine of a dog (extending from the scull to the pelvis) consists out of numerous smaller bones (vertebrae) through which the spinal cord (nerve highway) runs and is protected in the vertebral column. The fact that the spine consists out of multiple vertebrae, allows it to be flexible. 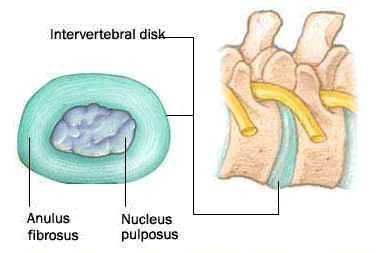 The discs act as special cushions in between the vertebral bones, like little shock absorbers. It consists out of a firm, fibrous outer capsule/shell called the annulus fibrosis, and an inner gelatinous, jelly-like centre, the nucleus pulposus. Above and below these discs run ligaments, with the dorsal one being particularly rich in sensitive nerves. What happens to these discs during disc disease? Disc disease can be classified broadly into two types of processes leading to the painful compression of a disc onto the sensitive spinal cord and resulting in clinical signs. HANSEN TYPE 1 DISC DISEASE – in this type, the jelly-like centre/nucleus becomes dehydrated and mineralized. By becoming rock hard, any wrong jumping (jumping of a bed or out of a car), causes this disc to suddenly rupture through its capsule, pushing onto the dorsal ligament, as well as the spinal cord. This leads to painful inflammation and swelling of the spinal cord and its surrounding ligaments, and can lead to serious damage. HANSEN TYPE 2 DISC DISEASE – this is a slower, more chronic and degenerative process of the capsule of the disc where the capsule starts to soften and thicken, especially dorsally. This thickening leads to bulging of the capsule, resulting in painful compression on the spinal cord, and sometimes spinal nerve roots. This is commonly seen in our older patients, especially breeds like the German Shepard dog. These unstable discs can herniated anywhere, but commonly in the area between the rib cage (thoracic) and lower back (lumbar) between the 11th and 12th thoracic vertebrae (T11-T12) and between the 2nd and 3rd lumbar vertebrae (L2-L3). Discs can also herniate in the neck and these are generally more painful with more loss of neurological function. What clinical signs will you see with disc disease? NEUROLOGICAL = NERVE INVOLVEMENT – neurological involvement can range from mild (swaying or unbalanced/clumsy gait, knuckling of paws, nails scuffling) to more severe signs (partial or complete paralysis of the legs, loss of bladder control, loss of tail wag, loss of pain sensation).How to diagnose disc disease?A diagnosis of IVDD can be made by a combination of clinical signs, breed presentation, neurological examination, radiology or MRI/CT scan. A plain radiograph can rule out other conditions mimicking IVDD, but is not as sensitive as an MRI/CT scan, as it can only show a compressed disc space or mineralized disc but not the spinal cord nor confirm IVDD. MRI and CT scans are available at various referral practices.Can my pet with disc disease be treated?Definitely YES!!! Disc disease is not the end of the road and the treatment of these patients can be very rewarding, although sometimes for lengthy periods. Depending on the severity of signs and nerve involvement, your veterinarian might suggest either medical, conservative treatment (painkillers, anti-inflammatories, muscle relaxants, cage rest and physiotherapy) or referral to a specialist for decompressive spinal surgery. Under any circumstances, it is difficult to accurately predict the outcome of many cases, as dogs vary tremendously in their ability to heal. The spinal cord takes weeks to recover, and sometimes we need to monitor these patients for 2-6 weeks to see improvement or progression. Please don’t hesitate to speak to a veterinarian if you suspect disc disease – for the best treatment options, tailored specifically to your four-legged friend.